Quantum Energy Systems are MCS Installer of Biomass Boilers in Hinckley, Leicestershire. These modern wood burning boilers provide a cost effective and environmentally friendly method of heating a property. They have the ability to convert up to 93% of the energy content of the fuel. Biomass boilers are relatively quiet and easy to user with a life span and specification that far exceeds normal domestic boilers. They can burn a variety of biomass fuels including logs, wood pellets and wood chips. The boiler can be coupled to a large fuel store that automatically feeds the boiler to eliminate fuel handling for weeks at a time. 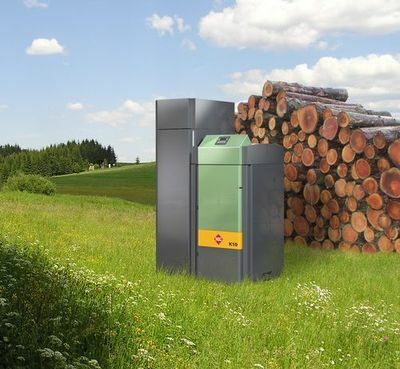 Biomass boilers are designed to replace your current conventional boilers in central heating systems. The Renewable Heat Incentive is a government scheme that pays both domestic users and businesses to heat their properties by green energy. Domestic: The scheme is proposed to pay between £1830 to £9150, depending on your heating use in your home, per year for 7 years. Commercial: If you are a commercial business heating your premises, or use heat as part of an industrial process then you will be eligible for 20 years. Our designer engineers will advise you about the benefits of each system and will advise you of the most suitable system for your requirements from our biomass boiler manufacturers SHT and HDG. 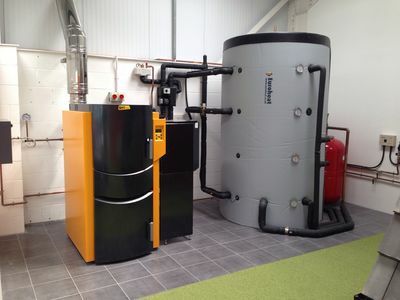 Our showroom GOECOHUB located in Hinckley, Leicestershire displays a biomass boiler with a working SHT Dual fuel log and pellet boiler with air blower,under floor and radiators for our space heating requirements of the building. We install Biomass Boilers all over the Midlands, including; Birmingham, Hinckley, Wolverhampton, Walsall, Aldridge, Sutton Coldfield, Burbage, Nuneaton, Coventry, Leicester, Bromsgrove, Stourbridge, Kidderminster, Bridgnorth, Shrewsbury etc. we are centrally located with easy access to the Midlands motorway network.